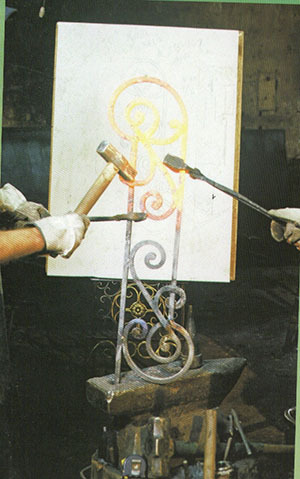 Dimal Metal was established in 1995 by David Faber, after having the experience of working with Russian artistic blacksmiths. Dimal Metal combines the best traditions of artistic forging and modern technology, which allow the manufacturing of a broad product range, practically in unlimited volumes. In our work we use high-quality raw materials and the newest technologies of metal processing, we produce both wrought iron components and finished goods; balustrades, fences, lattices, gates, handrails and furniture. Our Skilled specialists use precise professional tools for measuring, work out individual projects and designs on powerful graphic computer stations with modern systems. Our gallery shows just some of the wide range of possibilities; customers are welcome to come with their own ideas and new combinations to give your house the exact look you were searching for.